Home secretary launches task force to investigate the problem during a trip to US. Home secretary Sajid Javid has launched an investigation into claims that online brand advertising is inadvertently funding child abuse. 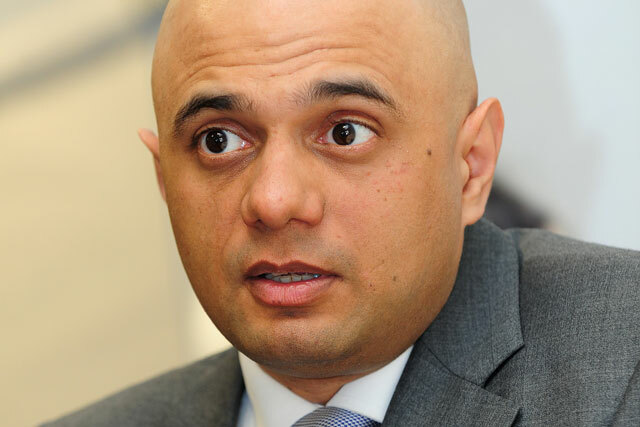 Javid is visiting tech giants in the US about the issue at the same time as a visiting British trade delegation to the West Coast, which is being led by the Department for International Trade (DIT). The IPA and UK agencies are joining the DIT delegation in order to meet companies including Amazon, Google and WhatsApp in Silicon Valley. As part of his trip, Javid will visit Microsoft’s headquarters to convene a "hackathon" with the aim of creating tools to detect online child grooming. Following claims by the Internet Watch Foundation that ads by "well-known brands" are appearing on websites depicting child sexual abuse, Javid has commissioned an investigation to assess the scale of the problem. Susie Hargreaves, chief executive of the IWF, has claimed that "using a variety of sophisticated techniques to avoid detection, offenders are exploiting online advertising networks to monetise their distribution of child sexual abuse material". To combat ad dollars falling into criminal hands, Javid has created a task force comprising ad agencies, trade bodies and brands. "Keeping our children safe is my mission as home secretary and it is vital tech companies take their responsibility seriously," he said. "I have demanded action and will be discussing the progress the industry has made during my visit to the US – as well as seeing the latest tools being developed to detect online child grooming. "This government is leading the response against these sickening crimes. Today, I’ve commissioned new research to look at how advertising is fuelling the sexual exploitation of children online and I am providing further funding for schemes to tackle the live-streaming of abuse." ISBA director general Phil Smith says the industry body is "fully supportive of the Government’s efforts to address child sexual exploitation online". He added: "Our members take their responsibilities as advertisers seriously and put in place every possible safeguard to ensure that their advertising does not appear next to illegal content. "We have worked alongside them to provide the Home Office with as much insight as possible ahead of the establishment of this taskforce and look forward to continuing to participate as it is established." Paul Bainsfair, director general of IPA, added: "Despite the UK having the most robust cross-industry online brand safety initiative in the world (in the form of Jicwebs Digital Trading Standards Group), issues like this unfortunately arise. We take them extremely seriously and we would be happy to engage with Government and the relevant law enforcement authorities to help to resolve this. "We have a strong track record of this having successfully worked with the police intellectual crime unit (pipcu) to address advertising on copyright infringing websites via an groundbreaking initiative called operation creative."